The tiles at the Union Square subway station are covered in Post-it notes with beautiful messages of healing and hope on them right now. New Yorkers — 79 percent of whom voted for Hillary Clinton — wrote short notes of support to one another, vowing to lift each other up no matter what, especially those who feel marginalized and bullied by Trump. And as a result of these images going viral, young women are sticking supportive and inspirational Post-Its to their high school bathroom tiles and mirrors, as New York reports. Yes. It doesn’t stop there. A new measure to signal that you are a safe person and pledge to support anyone facing discrimination has hit U.S. soil as well. As Good reports, people started wearing safety pins after Brexit to show support of marginalized groups, and the idea has spread to this country after the election. 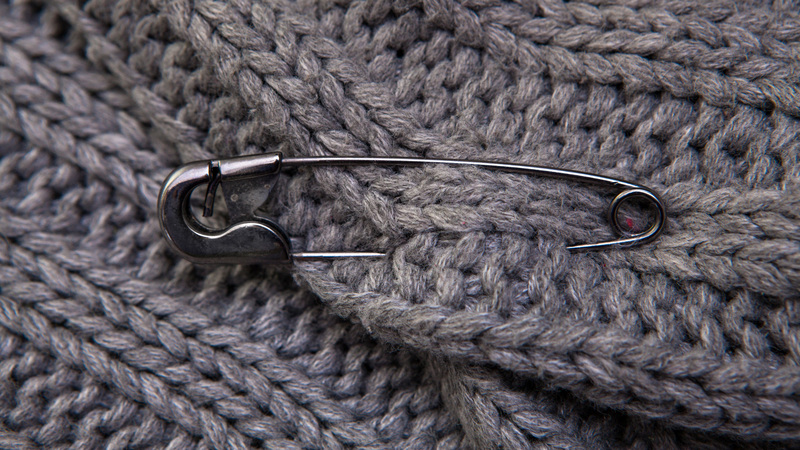 People are sticking safety pins on their clothing to denote their solidarity with each other — with anyone who feels scared or alone at the prospect of Donald Trump being president, with anyone who might need a protective ally in the weeks and months going forward. I will protect whoever I can. I will speak up when I see injustice done. If you want to join in either measure, all you have to do is clip a safety pin to your sweater or jacket — and dash off a sweet Post-it and stick it on the first public mirror or tile you see. While you’re at it, don’t forget to write a message of hope for yourself and stick it in your bathroom at home. Kindness through all of this is key.